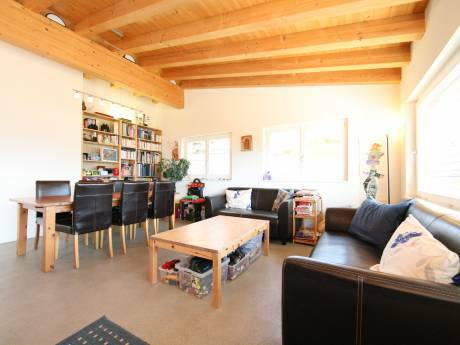 Our appartement is located in Andermatt, a lively skiresort approximately 90 min drive from Zürich and Milano. We live on the 4th floor with nice views over the Valley. The Apartment consists of an open kitchen a big living room and two bedrooms. One is equipped with a double bed and one with a bunk bed. The kitchen is fully equipped with microwave/grill/oven. The bathroom has a jacuzzi, great to relax after a day of skiing or hiking. There is a ski storage and a waxing room in the house. We are a familiy of 4. Urs an Bea are in their 40ies. Urs is a lawyer and works is head of the finance Department of our county. Bea is a prosecutor and works part time. 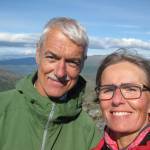 We enjoy skiing in the winter and spending a lot of time outsinde biking, hiking and swimming in the summer. Mila is 12 years old, Eleni 8. We are all travel experienced. You can be sure we will take great care of your property and expect the same in return. As Andermatt is our second home, non-simultaneous exchanges are possible. Children are welcome too. We have exchanged noumerous times and always enjoyed this way of travelling. Our appartment is 5 minutes away from the town center where you can find a variety of shops. The ski station "Gemsstockbahn" is very close (5 min walk in skiing gear) There is a parking space just in front of the house. The shops are about 10 min to walk and in winter there is a free Bus running every 30 min. going to the skiing slopes, the train station and the village center. The cross country slope passes practically bihind the house, too. Andermatt is an incomparable experience of a Swiss Alpine destination. Whether for those who are physically active or more interested in relaxation: you will find here just what you want. And, last but not least, there are also the many hours of sunshine that make you really yearn for leisure activities in the fresh air.